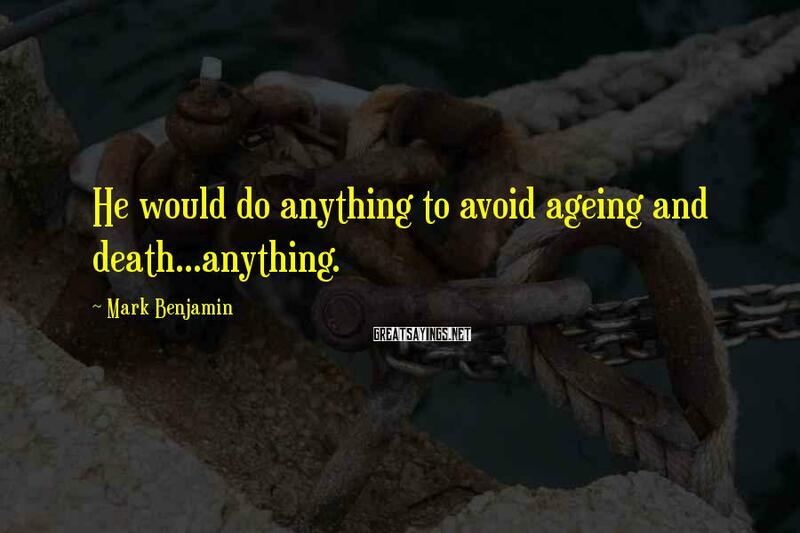 3 Mark Benjamin Famous Sayings, Quotes and Quotation. He would do anything to avoid ageing and death...anything. Drink," he commanded, seeing the look of hunger, of passion, in the boy's eyes. 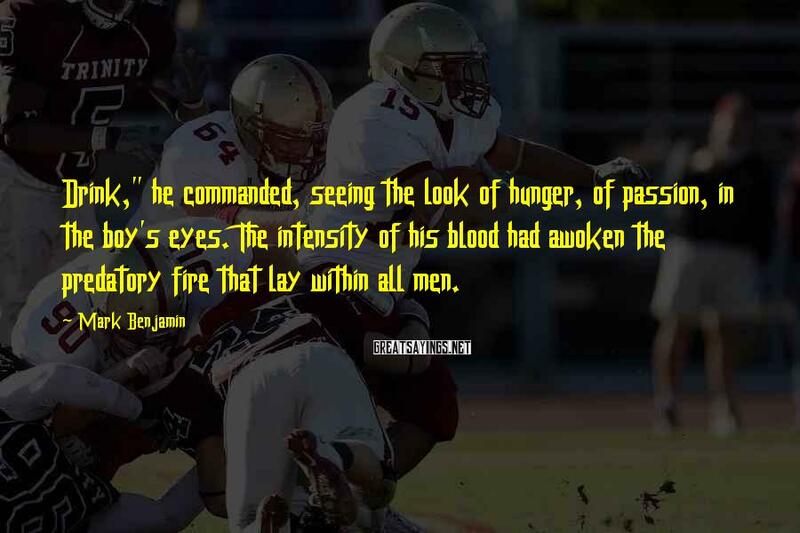 The intensity of his blood had awoken the predatory fire that lay within all men. 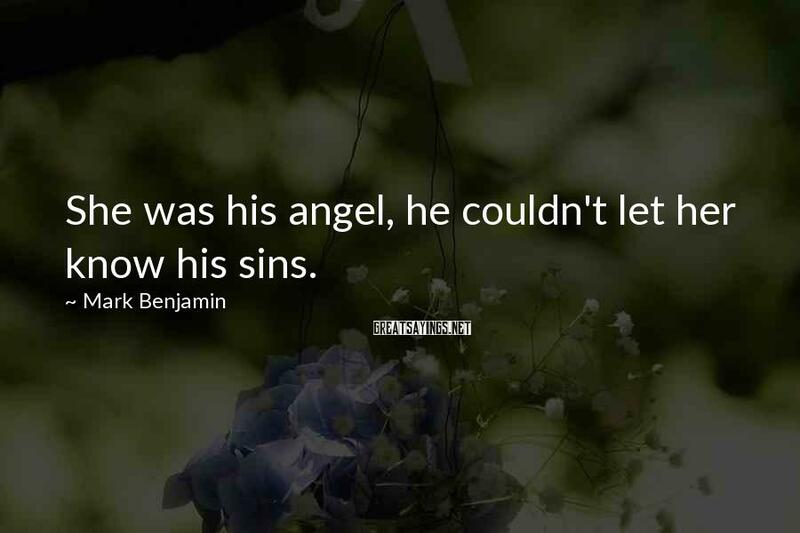 She was his angel, he couldn't let her know his sins.